We Were In Retail Asia Expo 2018 and we crushed it! No Comments on We Were In Retail Asia Expo 2018 and we crushed it! 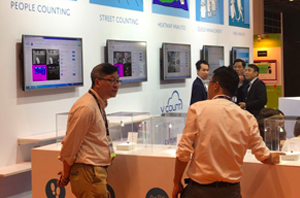 We were one of the exhibitors of Retail Asia 2018 in Hong Kong where cutting-edge retail solution providers and Asia’s key industry leader met. We are delighted to have met so many influential executives of the region. Meanwhile, in parallel with the Expo, the Retail Asia Conference, which is a platform for speakers and delegates to discuss strategies, learn about best practices and gain new insights into the industry was taking place. Our CEO, Demirhan Büyüközcü was a speaker at the Conference and shared his future predictions for the industry. Our next stop is RECON – MENA that will take place in Dubai on October 29th-30th and we are hoping to meet you there. Please connect us through [email protected] to book a meeting and let’s start discussing about how V-Count solutions will increase your profits.